How many times have you made placemats or a table runner, and then thought it would be so lovely to have matching napkins. Truly, fabric napkins on the serger are very fast. You can make a whole set in under an hour. There is a trick to getting perfect serged corners, and I’ll show you how. 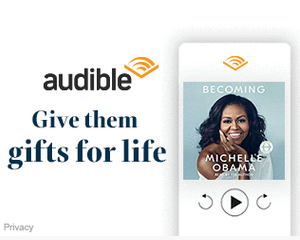 Start by cutting your squares for the napkins. The ideal size is 16 inches, but I have made them at 12 inches for luncheon size, or up to 20 inches for a formal dinner size. 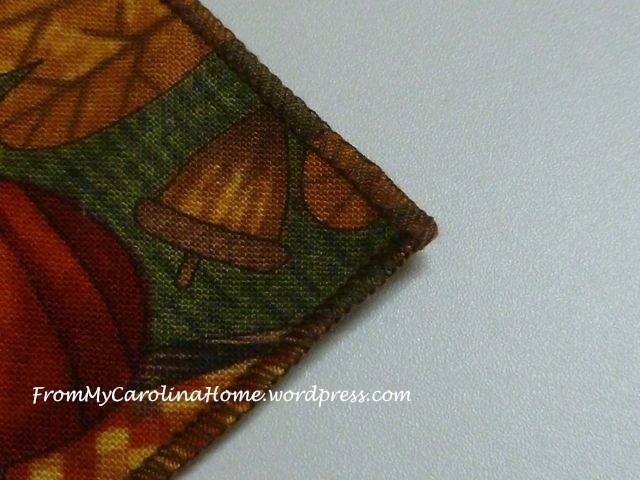 This fabric goes with the Three Maple Leaves Table Runner and the panel placemats. 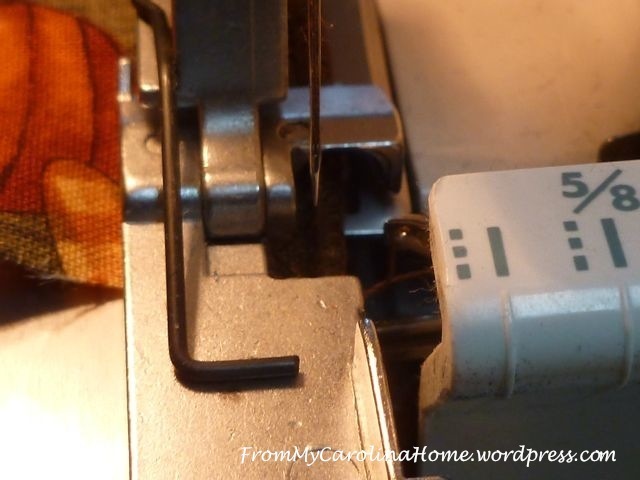 Set your serger for a three-thread rolled edge. Be sure to move your cutting blade down. If you have a differential feed, set it on 1-to-1. Serge the first side, stopping about 1 or 2 stitch lengths before you get to the edge. This is a bit tough to see at first, but you’ll soon figure out where to stop. Raise the needle up. 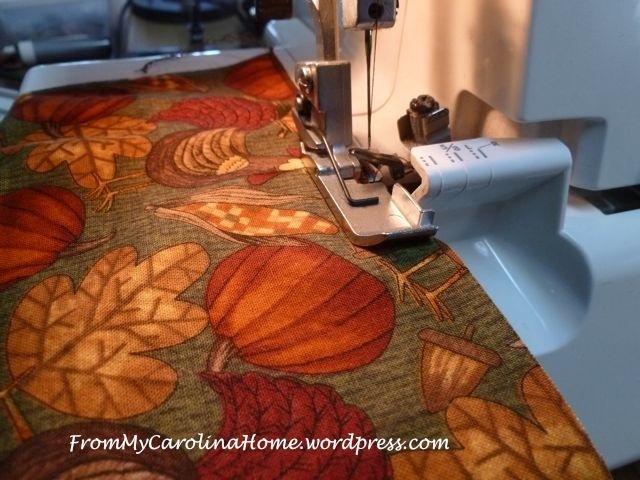 Lift the presser foot, and gently pull the fabric toward the back of the machine ever so slightly (just a millimeter or two) to release it from the flange, then turn it 90 degrees, pivoting around at the corner.. Try to minimize the amount of thread you pull. Place it back under the presser foot lining up the top edge with the needle position. Lower the needle and put the fabric next to it. Lower your presser foot. Serge the next side, and repeat until all four sides are done. By limiting the amount of thread at the corner, you end up with perfect corners, no knots, no extra bunching up. On the last corner, serge off the end, then tie off or bury your threads. I did four napkins in about 30 minutes! Practice on some scraps first. It will take a few tries to get the pivot point just right, but once you do, it is easy from there! If you don’t have a serger, you can make the napkins quickly on your sewing machine by using a rolled edge foot to hide the raw edge. 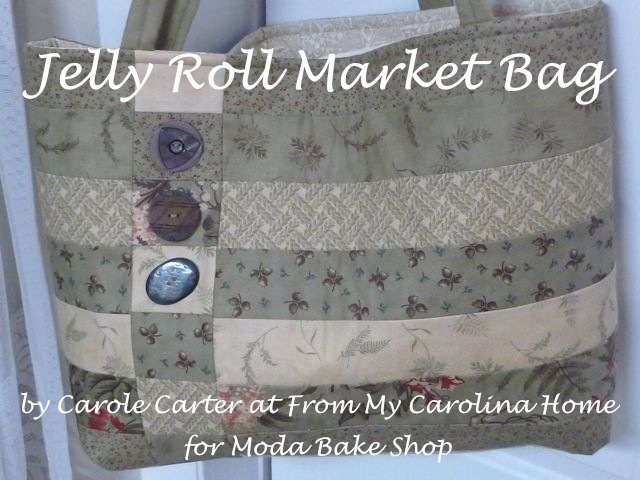 A serger makes this project super fast. You can have beautiful matching napkins for all your table top creations! Just get an extra yard of fabric, and you’ll have enough for six large dinner napkins. A beautiful table is only a few stitches away. Happy Serging! I’ll be doing another post soon on using specialty threads in a serger, like wooly nylon, so follow along for more great ideas. 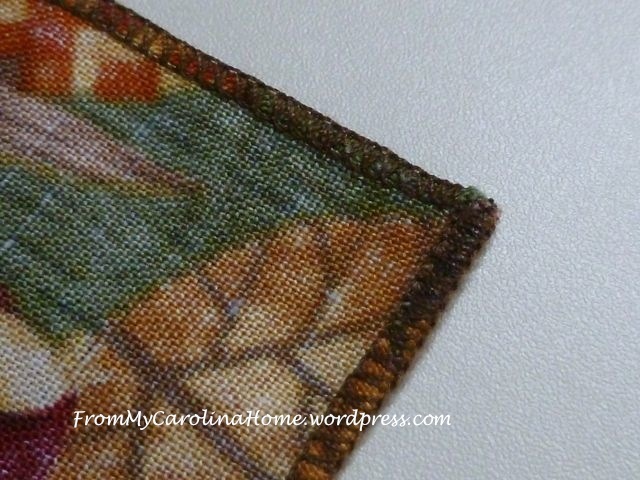 My blog is a variety of subjects, a lot of quilting and sewing, but also tablescapes, recipes, book reviews, hand stitching, stamping cards, crafting, gardening, travel and mountain living. I love to have new followers, too! 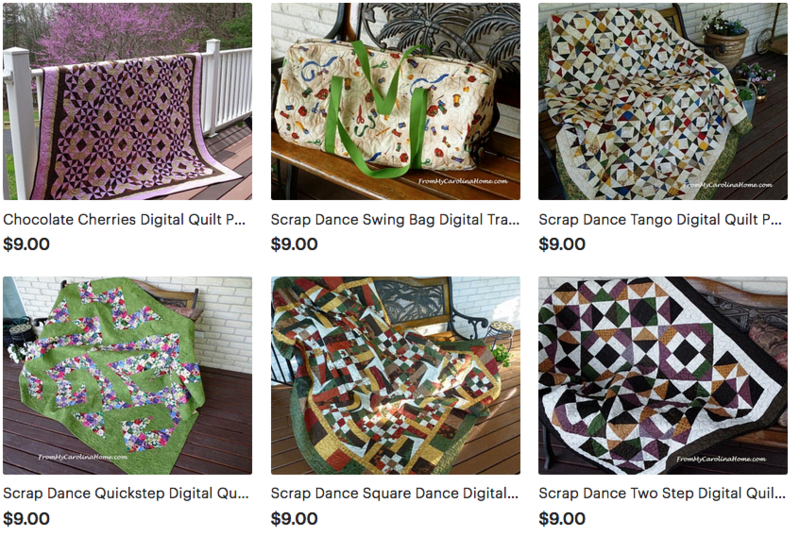 If you are visiting from Fave Quilts, All Free Sewing, Pinterest, a link up site, or just found me, please stay a bit and have a look around, some of my tutorials are gathered at the top in pages to make them easy to find. You can also use the category list on the sidebar to see everything in a given category. 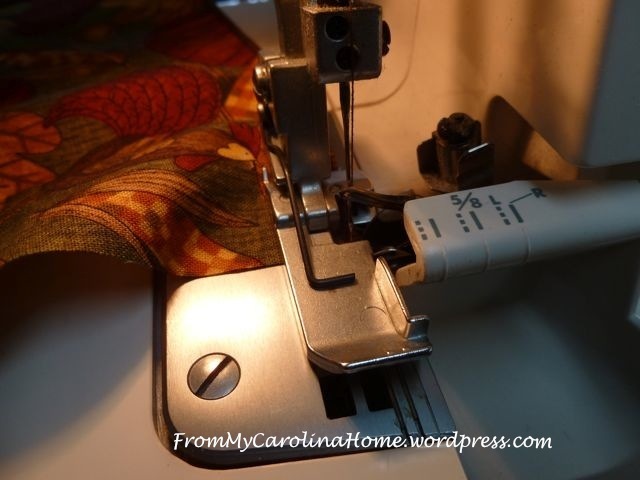 For more sewing posts, click on the Sewing category. Lots of fun is had here, and I invite you to follow with any of your favorite methods. To follow by email or blog reader, use the link buttons on the sidebar. If you are viewing my blog on a smartphone, scroll down past the comments to see the options. If you are on a computer, the options are on the sidebar on the right. Click on the Home page to see the latest posts and projects on the blog. 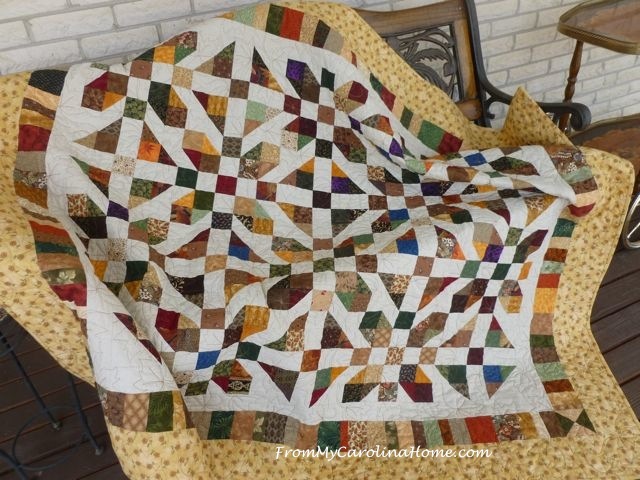 The Teacups Quilt Along BOM just started in August 2018, so you have time to catch up. My next mystery quilt along begins in January. Click on the Home page to see the latest posts on the blog. Thanks for visiting, and I hope you enjoy all the tutorials and fun things here! 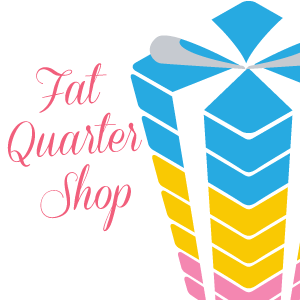 See what’s new on sale today with the Fat Quarter Shop’s Flash Sale. 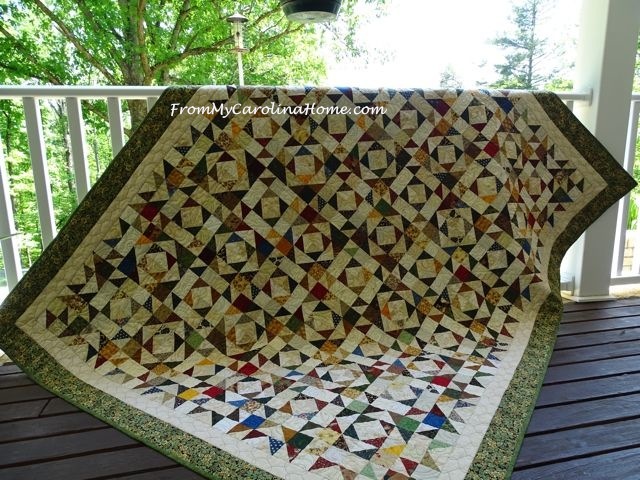 New Project Kits on Sale at Craftsy – Click HERE. Find more great Serger Books on Amazon, and great deals on Serger Threads too. 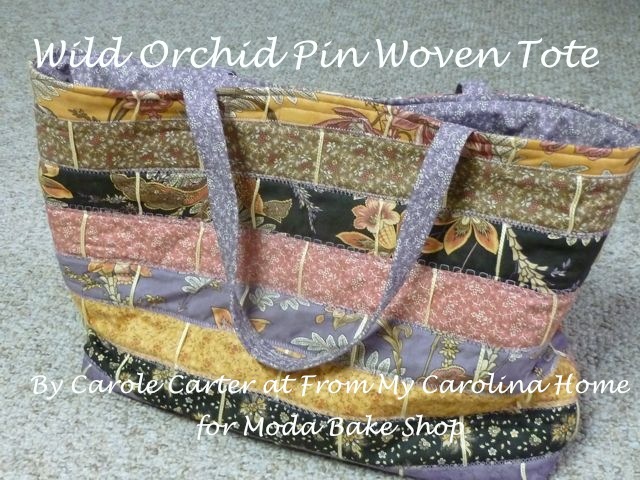 I am delighted to be featured during National Sewing Month at All Free Sewing!! How do you use your serger? Now I know for SURE I need a serger! 🙂 Thanks for sharing this. Thank you so much for this tutorial! I need to dust off my serger and do some practicing. I also need new napkins, so this is perfect timing. Definitely bookmarking this post! 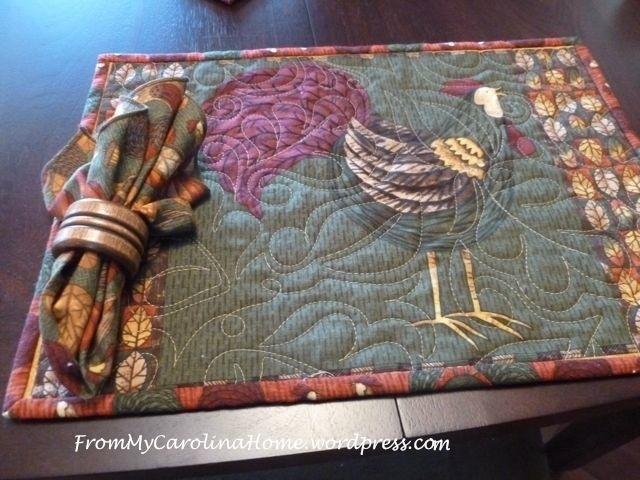 That placemat and napkin setting looks so great Carole! 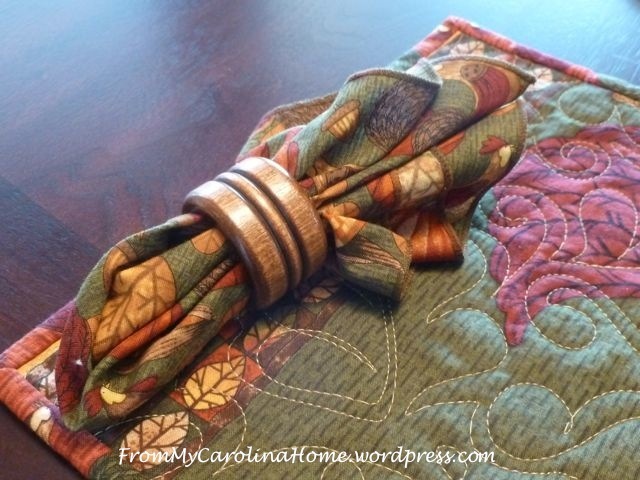 Love your serging and also the quilting on the placemats! Thank you for your tutorial! I have not used my serger in quite some time and may have to pull it out. Your idea makes perfect sense and will be so much easier than pulling the threads through on all four corners. So very nice that I just had to PIN hope you get a lot of views ’cause it’s great! Beautiful! 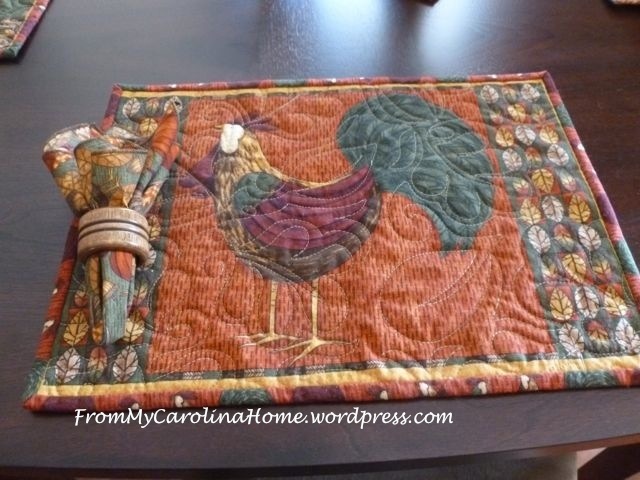 Those napkins and place mats are really lovely! 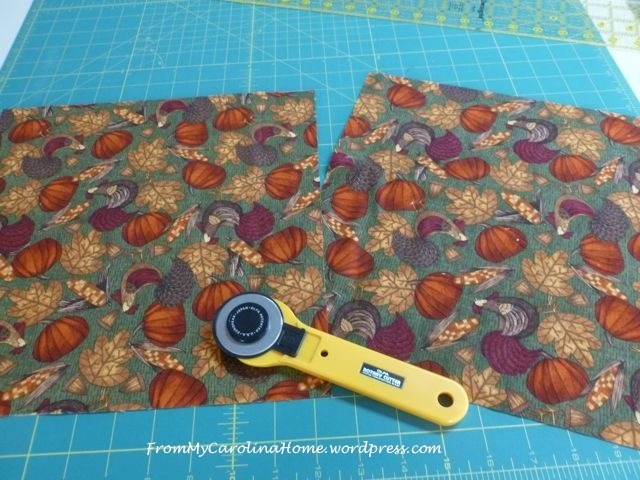 Thanks for sharing the tips on serging! Thanks for the tips – I should probably dust off my serger and give this a try!! Whoop whoop!! Thank you for taking the time to make this tutorial. 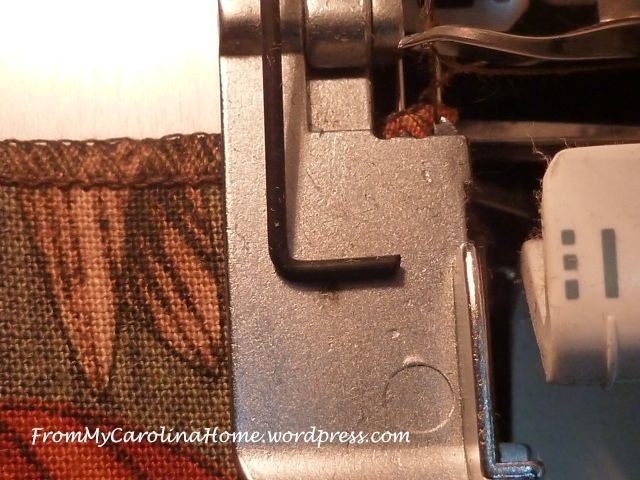 I’m going to be pulling my serger out sometime soon, and really appreciate these tips! Your table setting is lovely, Carole. I love the rich colours you have used and the serviette in the ring finishes off the whole setting beautifully.